The temperatures are warming up, the sun is out more hours of the day, and Spring is just around the corner. With the feeling of a “fresh start” in the air, what better time to tell you about the newest models at our dealership—some of which are already on the lot and some which are coming soon. A new 8-speed dual clutch transmission (8DCT) with torque converter and paddle-controlled Sequential Sport Shift. The new 8DCT is the most advanced transmission in its competitive set. More distinctive front end highlighted by piercing Jewel Eye™ LED headlights, a new grille design, and more aggressive lower fascia. A restyled rear end offers new LED combination lights and lower fascia enhancements. New 10-spoke 17-inch aluminum alloy wheels. The available ILX A-SPEC Package enhances the performance look even more by adding sporty side sill garnishes, a trunk spoiler, front fog lights, new 18-inch 10-spoke machined alloy wheels, and several unique interior appearance touches. The exclusive Premium Black interior color scheme includes a black headliner, perforated black Lux Suede® seat inserts, red instrument illumination, exclusive gray interior stitching and aluminum brake and throttle pedals. Additional noise-insulating materials, thicker front door glass, noise-attenuating wheels, and the adoption of Active Noise Control technology. 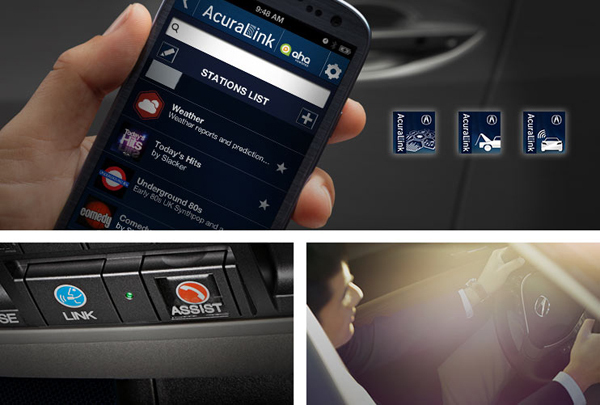 The ILX Tech Plus features the next generation of AcuraLink®, Acura’s cloud-based connected-car system. The 2016 ILX is newly available with the AcuraWatch™ suite of advanced safety and driver-assistive technologies, the most advanced system of its kind in the competitive set. 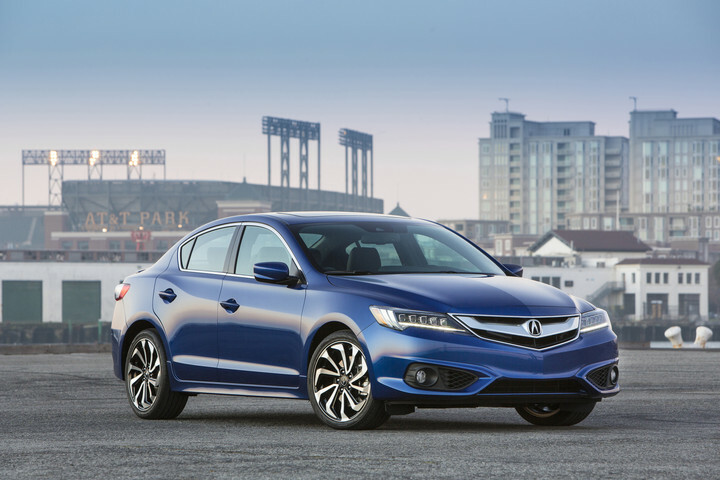 We know that you’ll want to check out the 2016 ILX at Tischer. The 2016 MDX and MDX with Technology Package models can now be equipped with the AcuraWatch™ suite of advanced safety and driver-assistive technologies, which includes the first application of Road Departure Mitigation (RDM) and Rear Cross Traffic Monitor to the MDX model line. 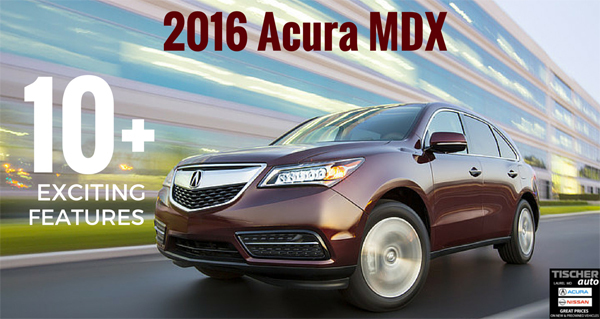 The MDX with Advance Package comes standard with AcuraWatch™. Check out the 2016 Acura MDX at Tischer. As the spring season gets underway, we have a great many more models coming soon. In addition to the Acura models mentioned above, luxury car buyers should expect to see the 2016 RLX and RDX arriving soon. Finally, the much-anticipated, next generation 2016 Nissan Maxima, which is the one that was seen in this year’s Superbowl commercial (see below), will be arriving. The 2016 Nissan Maxima, the brand’s flagship product and signature “4-Door Sports Car,” will make its official world debut at the New York International Auto Show in April. If you want to stay in-the-know when these models are in our showroom, be sure to follow updates on our Facebook Page and Twitter stream. Also, you can check our inventory online or give us a call. All the information you will need can be found on our website. We drivers certainly have been spoiled since the holidays. At a time of year when gas prices tend to be high, across the U.S. gas prices continued to drop. Here in the Laurel area, we even saw gas drop to under $2 per gallon. However, according to AAA, “The national average price of gas reached a current 2015 low on January 26 of $2.03 per gallon, which was the lowest average since March 27, 2009.” However, as of last week AAA reported the national average price for regular unleaded gasoline has increased every day for two weeks for a total of 14 cents per gallon. Week-over-week prices are higher in 48 states and Washington, D.C. The ebb and flow of gas prices is nothing new for us. 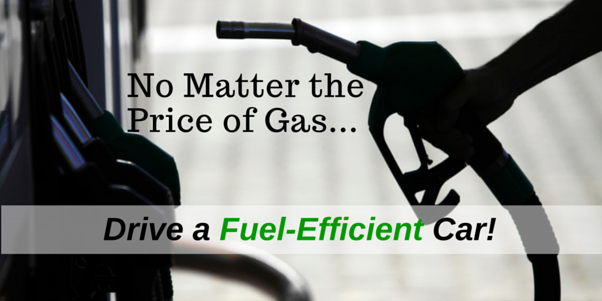 While we can’t control the cost of gas, there is one thing you can do to manage how much you are paying at the pump—you can choose a fuel-efficient car. 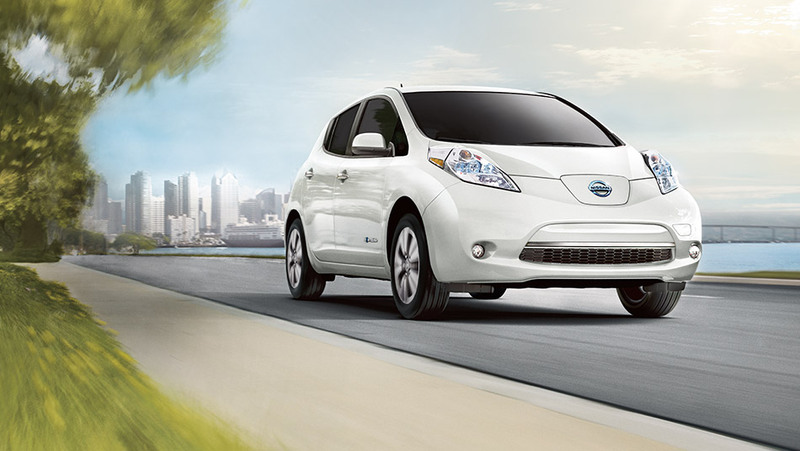 Let’s point out the obvious choice—the Nissan LEAF. It’s a 100% electric vehicle which means never having to pay at the pump. Plus, there’s the added benefit of tax breaks for driving electric vehicles. If you want to know what it’s like to own a LEAF, check out the interview we did with one of our LEAF-driving customers. You also have the option of the Nissan Pathfinder Hybrid which runs partially on electric power and partially on gas. The hybrid system uses an Intelligent Dual Clutch System that efficiently manages power from both the electric motor and the gas engine. To conserve fuel, the electric motor powers the Pathfinder at start-up and while coasting. When you are accelerating, passing, or towing the boat, the gas engine kicks in, working in tandem with the electric motor to power the vehicle. 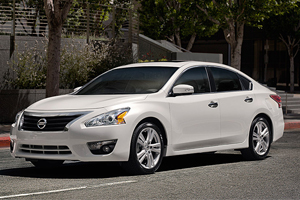 The Nissan’s number one seller— the Altima—boasts up to an incredibly efficient 38 MPG fuel economy and has an 18-gallon tank. So, let’s do a little math. Say gas prices average $2.25 per gallon. 18 gallons at $2.25 is a full tank of gas for $40.50 and a total of up to 684 miles. That means you could drive from the Washington DC area to Myrtle Beach, South Carolina (approximately 432 miles) and still have gas left in your tank—and all for about $40! 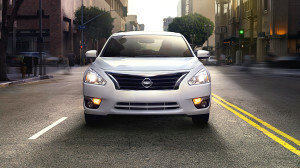 Check out the Nissan Altima. Here’s something you may not know: The Nissan line-up has many models that are fuel-efficient, including the Juke and the Rogue, with some models offering as high as 40 MPG highway (Nissan Versa Sedan, Versa Note, Sentra)! Acura’s best-selling luxury SUV is also surprisingly fuel-efficient for a larger car. For example, a front-wheel drive MDX offers as much as 27 MPG highway. And while for some MDX models premium fuel is recommended, our Acura Sales Consultant, Noah, explains that “you can use regular fuel with the MDX without hurting the engine or voiding your warranty.” So again, let’s create a little scenario. The MDX has a 19.5-gallon tank. Based on our $2.25 per gallon gas rate, that’s a full tank for approximately $44. On a full tank of gas, you can travel approximately 513 miles in an MDX. If you were to drive from the Washington DC area to Disney World, that’s about 861 miles. That means you could load up the family in this comfortable three-row SUV and drive to Disney World and back (round-trip) for about $150. What would the cost of plane tickets to Disney for your family be? We can say with confidence that it would be a lot more than $150! Check out the Acura MDX. With the upcoming tax season, fluctuating gas prices, and folks itching for the end of winter and yearning for summer vacation, it’s a smart idea to consider switching to a fuel-efficient car. We’d like to be the dealership that helps you do just that. Feel free to reach out to us on Facebook or Twitter with your questions or feedback regarding what you read today. 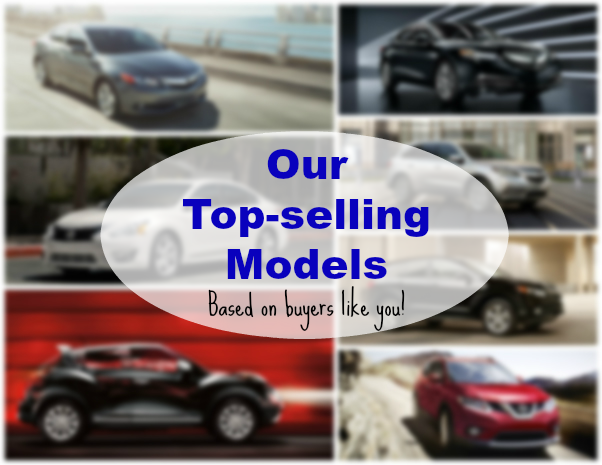 What were our top-selling Acura and Nissan models this past year? In other words, which models were our customers’ vehicles-of-choice? For today’s post, members of our team, Angela and Noah, both chimed in with their feedback. 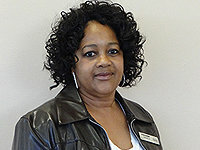 Angela works from the Nissan side of Tischer Acura Nissan, and Noah is a member of our Acura team. Here’s what they had to say. The all-new Nissan Rogue has been a hot-seller (not to be confused with the previous generation model, now dubbed the Rogue Select). Angela attributes the success of the Rogue due to its modern redesign which includes “LED diamond cut running headlights, chrome accents (window seals), new crossover body design and gas mileage of 26 city/33 highway.” Angela also notes the elegant interior styling of the Rogue which includes Around View Monitor and panorama roof—“Skylight Views for all passengers!”—as well as the Divide-N-Hide© cargo system with 18 configurations and Rogue’s 20/40/60 split seats. 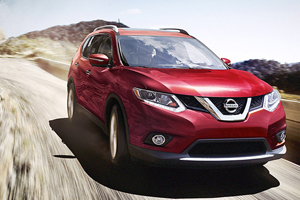 Check out the Nissan Rogue. Finally, Angela pointed out that one of the “up and coming” cars with 50% more sales this year is the 2014 Juke. 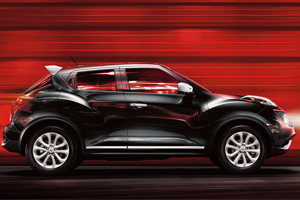 According to Angela, “The more it’s seen, the more it’s loved.” Juke highlights that customers have responded favorably to include its innovative sports car crossover compact design, the 1960’s headlamp design, bicycle-style console in red or silver, sports tune suspension, 4-cylinder turbo charge direct injection gasoline (DIG) technology engine, the unique I-Con Integrated Control System which displays and configures climate and drive modes, Rockford Fosgate ecoPUNCH premium audio system with subwoofer, and a fuel economy of 25 mpg city/30 mpg highway. For those customers that like the idea of the MDX, the Acura RDX has been another go-to seller for us. Noah attributes the success of RDX sales to it being “a smaller SUV that still has lots of versatility” as well as having an All-Wheel Drive (AWD) option. It’s worth noting that both the MDX and RDX are top-rated vehicles by Edmunds.com and have won the U.S. News & World Report 2014 Best Cars for the Money Awards in their respective categories. The ILX is Acura’s gateway luxury sports sedan. Noah notes it’s a “great introductory model for car shoppers interested in a more luxurious car, has excellent fuel economy, and that the sportier look of the ILX is particularly popular with the younger generation looking to make a strong impression.” In fact, the ILX won the 2014 IntelliChoice Best Overall Value of the Year Award which is based on analysis of every new model sold in the United States and identifies those that have low total ownership costs and lower than expected costs over time when compared to similar models. 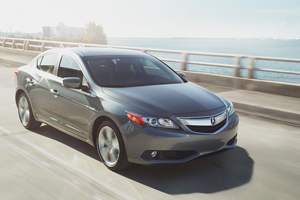 With its high quality and well-appointed interior, ILX is smart, spacious and sporty. It offers numerous features important to luxury buyers, including a Keyless Access System with smart entry and push-button start, Pandora® interface and SMS text message function for easy connectivity, Bluetooth® HandsFreeLink®, a power moonroof, heated front seats and a Multi-Angle Rearview Camera. Just like Angela chose an “up and coming” Nissan, Noah points out the car to watch on the Acura side is the all-new Acura TLX. Because it came to our dealership later in the year, it wasn’t a model that was available for most of 2014. Since its arrival, however, it has been HOT, HOT, HOT! We can’t blame our customers—the TLX is receiving rave reviews and accolades from industry experts, too. With features such as super handling all-wheel drive, precision all-wheel steering, four driving modes, electronic gear selector, and more, the Acura TLX is built to thrill. You can read our review about the TLX for full details. 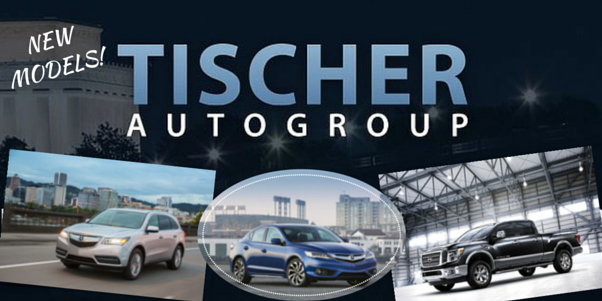 Yes, 2014 was a great year for Tischer and our customers alike. We’re looking forward to continuing our mission to help car buyers find a car that’s best-suited for their budget and lifestyle in 2015. 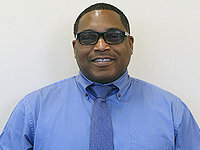 If you’re in the market for a new car (or even certified pre-owned or used! ), feel free to reach out to us on our website or through Facebook or Twitter. Thanks to Angela and Noah for lending their expertise. All of us at Tischer Acura Nissan wish you a happy and healthy new year! Are You Missing Out on AcuraLink® The Next Generation? The latest iteration of AcuraLink® is pretty awesome! It’s available exclusively on select RLX and MDX vehicles beginning with the 2014 model year, and the TLX beginning with 2015. Despite the amazing convenience this service brings to your life as an Acura owner, we are always surprised to learn that some of our Acura customers haven’t yet started utilizing this service to its full potential. We must mention that the Standard Package is free for the first three years of ownership on every vehicle equipped with AcuraLink® The Next Generation. Allow us to give you a little overview of the latest AcuraLink® capabilities and all that you might be missing. Owners can access AcuraLink® in their vehicle as well as on mobile and desktop. No matter where you are, your AcuraLink® access is there! Apps—the AcuraLink® The Next Generation audio systems work seamlessly with iOS® or Android™ devices using the AcuraLink® Streams app. Powered by Aha™, the Streams app delivers cloud-based media like podcasts, Internet radio stations, and even content from sites like Trip Advisor, Facebook and Twitter. Remote access—lock your car doors, check your fuel and more from a remote location via phone or computer. Messages/Alerts—Acura can send you notifications on the latest information about your vehicle. Assistance—with the touch of a button, a concierge service is waiting to help you with just about anything, 24/7! Owner’s Manual—your owner’s manual information can be digitally accessed in AcuraLink®. No more worries about old-fashioned booklets or papers (if paper clutter annoys you). There are different packages and pricing options. You can upgrade at any time to a package that better suits your needs. You can view the packages and prices on the AcuraLink® The Next Generation website. If you have more questions about AcuraLink® services, you can check out the AcuraLink® FAQ page. There’s a lot of useful information about setting up your account, upgrading your AcuraLink® package, linking more than one vehicle, and more. For our Acura customers, and would-be Acura owners, please do not ever hesitate to ask us to help you with your AcuraLink®. We want you to be able to tap into the maximum potential of your vehicle, and we are happy to help you do just that. For those of you who use AcuraLink®, what do you love about it? Share your thoughts with us on Facebook or Twitter. The 2014 Acura MDX has Arrived at Tischer Acura! 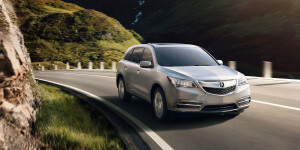 The highly-anticipated 2014 Acura MDX, which went on sale nationwide on June 20, 2013, is now available at Tischer Acura. The seven-passenger SUV, built on an entirely new platform, offers a more versatile and luxurious interior, increased fuel economy and enhanced road performance. In addition to the redesigned 4WD model, the new MDX is also available in an even more fuel-efficient, 2WD model. 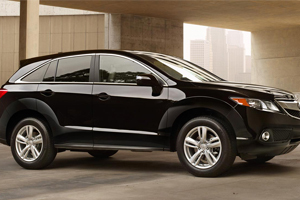 The 2014 MDX features a 290 hp, direct-injection 24-valve 3.5-liter i-VTEC V-6 engine that produces a whopping 267 lb.-ft. of torque! Coupled with a 6-speed automatic transmission with Sport Mode and Sequential SportShift Paddle Shifters, the new MDX will be offered in both Super Handling All-Wheel Drive (SH-AWD)™ and 2WD drivetrain variants, both of which include new Agile Handling Assist technology. The SH-AWD model carries an EPA estimated fuel economy of 18/27/21* miles-per-gallon (MPG), while the new FWD model is estimated at 20/28/23* MPG. Although the 2014 model boasts even greater fuel economy than previous models, it loses nothing in performance and even has quicker acceleration time, a more responsive braking system and even more precise steering. Much of the increased performance and fuel economy has to do with the new enhanced frame. The new body utilizes more than 55% advanced lightweight materials, including high strength steel, aluminum, and magnesium. The results are a vehicle that is both more rigid and lightweight, with total vehicle weight reduced 275 pounds from previous MDX models. The new interior design, made possible by the revised body dimensions, seats seven passengers comfortably and offers innovative new technologies on the second-row seats, significantly improved third-row access and all-around passenger comfort. In addition, rear cargo capacity has been enhanced in the 2014 model and includes a new under-floor storage area which gives a total of more than 90 cubic feet of cargo space. As for safety improvements, the third-gen MDX includes: the Advanced Compatibility Engineering (ACE)™ II body structure; 4-wheel Anti-Lock Braking System (ABS) with Electronic Brake Distribution (EBD) and Brake Assist; Vehicle Stability Assist™ (VSA®) with Traction Control; and front, front side, driver’s knee and side curtain airbags with rollover sensor. In addition Forward Collision Warning (FCW) and Lane Departure Warning (LDW) systems are available as options. Each of these safety features has contributed to the 2014 MDX’s earning top-level safety ratings, including a 5-star Overall Vehicle Score from NHTSA and a Top Safety Pick+ rating from the Insurance Institute for Highway Safety (IIHS). The 2014 MDX ranges from $42,290 – $54,805 and is available with 3 additional packages: the Technology Package; the Advanced Package; and these in conjunction with the Entertainment Package. 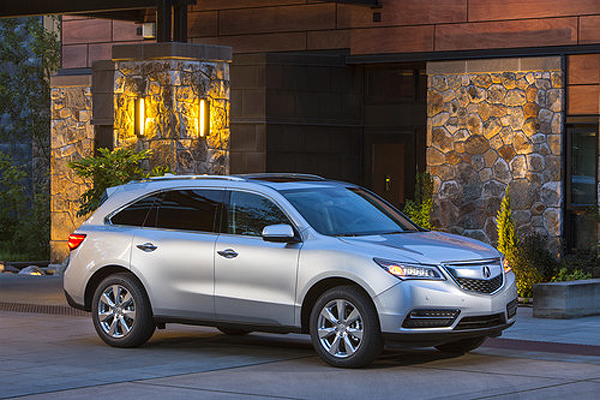 For more information on each package, check out the MDX Model Comparison online. Tischer Acura has a number of these amazing vehicles on the lot ready for your test drive! Call or click below to schedule your personal tour and test drive of the 2014 MDX. In addition, interested customers can check out Acura’s Comparison Tool, which allows drivers to compare each trim level of the MDX with two other comparable vehicles, including offerings by Infiniti, Lexus, and BMW. 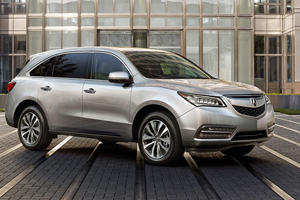 Let us know your thoughts about the new MDX in the comments below. Your feedback is important to us! Safety is one of the most pressing concerns for all auto manufacturers, but Acura prides itself on a line of vehicles that secure top safety ratings year-after-year, model-after-model! Like most luxury vehicles, people tend to dwell on the more flashy features, but Acura believes that safety should be a top priority – and it has been since day one for Acura. Less than one year after starting its assembly lines, Acura introduced its first vehicle, the Legend Coupe, to come standard with an airbag. 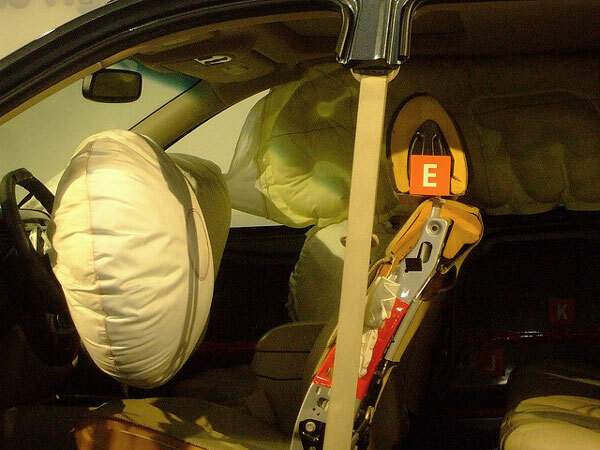 This was 11 years before airbags became mandatory in all vehicles. By 1988, the entire Legend line came standard with both airbags and anti-lock brakes. More recently, in 2009, Acura was the first manufacturer to have every one of its models designated a “Top Safety Pick” by the Insurance Institute for Highway Safety (IIHS). In 2010, IIHS raised the bar on its Top Safety Pick requirements, and by the 2012 model year, Acura’s TL, TSX, TSX Sport Wagon and MDX all regained Top Safety Pick status. 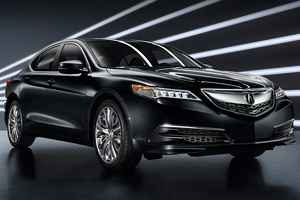 According to the National Highway Traffic Safety Administration (NHTSA), Acura was also the first and only luxury brand to receive 5-Star crash safety ratings for all of its models in NHTSA’s New Car Assessment Program’s front and side impact crash tests. While standards have changed over the years, Acura’s dedication to safety has not. To that end, Acura has developed two levels of safety features for its line of vehicles: Active and Passive. The idea behind the Active safety features is to help drivers avoid accidents before they occur, while the Passive safety features are designed to protect both driver and passengers if a collision does occur. Acura began with the basics of driving when designing its Active safety system. Starting with precision steering, an enhanced suspension, and anti-lock brakes, and moving on to advanced technologies like headlights that swivel to illuminate curves in the road, and the Collision Mitigation Braking System that gives drivers advanced warning of a possible impact situation while braking automatically if impact is imminent, these vehicles are made to prevent accidents. Finally, Acura offers navigation systems with voice recognition and Bluetooth integrations to help eliminate distractions while driving. Acura’s Passive safety features utilize a wide range of safety technologies starting with the structure of the vehicles themselves. Each model since 2005 is built with Acura’s Advanced Compatibility Engineering (ACE)™ and unit-body construction, both of which are engineered to help absorb crash energy and offer protection to the driver and passengers in the cabin. Acura also offers advanced dual-stage, multiple-threshold front air bags, front side air bags, and side curtain air bags on most models with the passenger-side Occupant Position Detection System (OPDS) to help keep you safe and secure when collision becomes unavoidable. Finally, all Acura models come equipped with breakaway steering columns and many models use front-seat-active head restraints that use the force of the occupants’ body to position the head restraint forward and upward in a rear-end collision in order to help reduce the likelihood of neck injuries. To Acura, safety is not just another feature to be added in for the right price, but rather a proven commitment to protecting drivers in the event of an accident. For more than two decades, Acura safety engineers have worked tirelessly to improve and advance safety components built into every model, every year. Want to learn more about the safety features that Acura offers in its line of vehicles? Click the button below to schedule a test drive and see for yourself just how important your safety is to Acura. Also, be sure to let us know what you think of these features and Acura’s commitment to safety in the comments section below! Acura values its owners’ input and opinions. 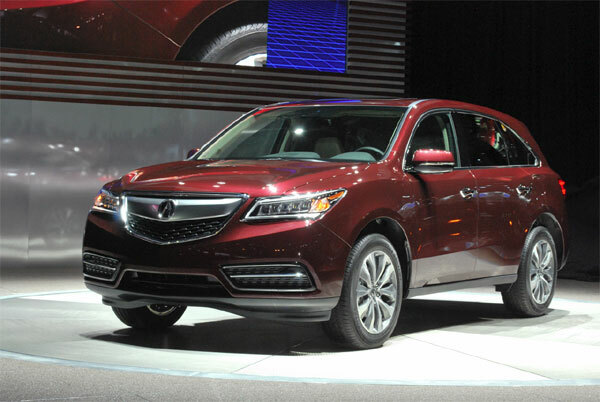 On March 27, 2013, Acura’s all-new 2014 MDX luxury SUV made its debut at the New York International Auto Show. The seven-passenger SUV, built on an entirely new platform, offers a more versatile and luxurious interior, increased fuel economy, and enhanced road performance. In addition, Acura unveiled an even more fuel-efficient, two-wheel-drive model, which will carry a smaller price tag for consumers. According to Acura, the 2014 MDX features a 290-horsepower, direct-injection 24-valve 3.5-liter i-VTEC V-6 engine which produces a whopping 267 lb.-ft. of torque! Coupled with a 6-speed automatic transmission with Sport Mode and Sequential SportShift Paddle Shifters, the new MDX will be offered in both Super Handling All-Wheel Drive (SH-AWD)™ and two-wheel-drive drivetrain variants, which both include new Agile Handling Assist technology. The SH-AWD model carries an EPA estimated fuel economy of 18/27/21* miles-per-gallon (MPG), while the new front-wheel-drive model is estimated at 20/28/23* MPG. 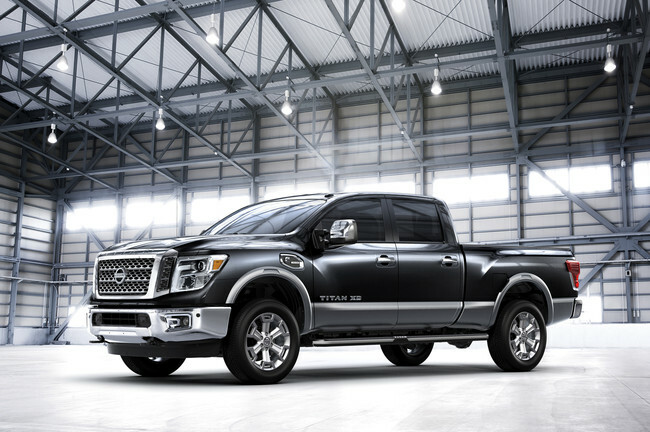 Although the 2014 model boasts even great fuel economy than previous models, it loses nothing in performance. 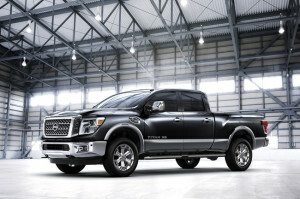 It even has quicker acceleration time, a more responsive braking system, and more precise steering. Much of the increased performance and fuel economy has to do with the new enhanced frame. The new body utilizes more than 55% advanced lightweight materials, including high strength steel, aluminum, and magnesium. This results in a vehicle that is both more rigid and lightweight, with total vehicle weight reduced 275 pounds from previous MDX models! The new interior design, made possible by the revised body dimensions, seats seven passengers comfortably and offers innovative new technologies on the second-row seats. It also provides significantly improved third-row access and all-around passenger comfort. In addition, rear cargo capacity has been enhanced in the 2014 model and includes a new under floor storage area. As for safety improvements, the third-gen MDX includes: the Advanced Compatibility Engineering (ACE)™ II body structure; 4-wheel Anti-Lock Braking System (ABS) with Electronic Brake Distribution (EBD) and Brake Assist; Vehicle Stability Assist™ (VSA®) with Traction Control; and front, front-side, driver’s knee- and side-curtain airbags with rollover sensor. In addition, Forward Collision Warning (FCW) and Lane Departure Warning (LDW) systems are available as options. The 2014 model is expected to receive top-level safety ratings, including a 5-star Overall Vehicle Score from NHTSA and a Top Safety Pick+ rating from the Insurance Institute for Highway Safety (IIHS). 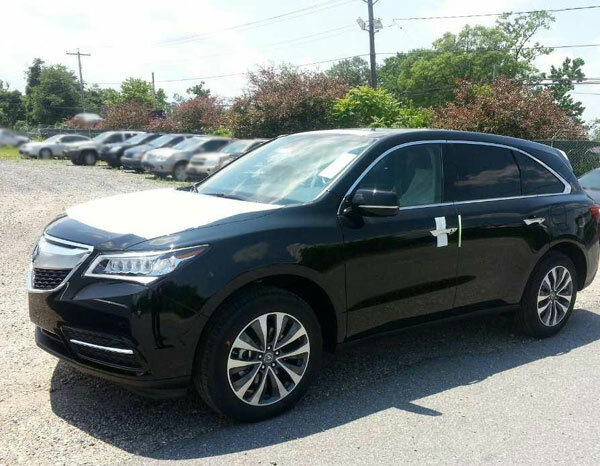 For consumers interested in the 2014 MDX, as well as other 2014 Acura models, they are expected to hit dealership lots this summer! 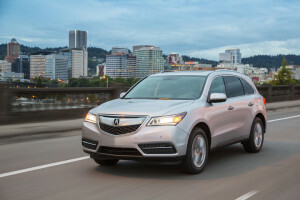 For more information, be sure to check out the press release from Acura about the 2014 MDX. Let us know your thoughts about the new MDX in the comments below. As always, we appreciate your feedback!